Moving household goods overseas from Baltimore? Need to move your household goods to another country? 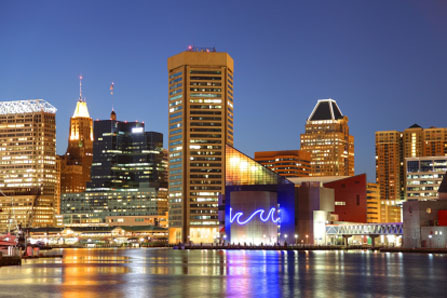 Are you planning to move home or abroad from Baltimore Maryland? Do you plan to take all your household goods with you when you move? If you are moving back home or relocating for other reasons, Schumacher Cargo is an International moving company with the power to take the stress out of the move and make the whole process simple and straight forward. Whether you are moving to Europe, Australia, New Zealand or any other place you call home, We have very competitive groupage rates for overseas relocation for you and your family's personal effects from anywhere in the USA to any address around the globe. Whether it is for business or personal reasons, one of the biggest challenges is finding a trust worthy International moving company who will take the lead and orchestrate the move for you! From one of our many warehouse locations across the continental US, as your chosen International relocation service provider, we will arrange to pack and wrap your goods the International way and offer a level of service that will make you happy you decided to move with Schumacher Cargo Logistics. 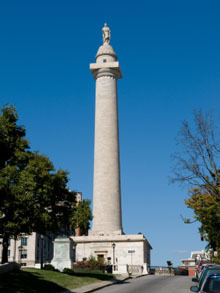 * Services are available to other countries from Baltimore. It's as simple as this- ask us for a Quote today and you choose!! Thus, whether you are shipping cars, vehicles, full households, individual furniture, antiques and/or other goods, you will be comfortable knowing that Schumacher Cargo Logistics and our team of overseas moving experts will take care of all aspects of your relocation needs. What rules of import apply to your goods? Before you move your personal effects you should find out what rules apply to your particular goods when entering your final destination. You can call us on 1 800 599 0190 or 1 562 408 6677 for more information from one of our moving experts. How long does it take to ship Household goods? As International Movers with specific contracts with all the major shipping lines and our own direct groupage rates, it generally takes three to four weeks on the ocean. Cars and Autos are shipped in individual containers, but many sea carriers will allow partial containers of household goods. These are guideline time frames that can be discussed in more detail when making your booking. Some destination countries have longer sail times. Please contact one of our Moving specialists to discuss your relocation needs and/or auto transport and shipping needs. If you wish to pack your items yourself, we will deliver the container to your house for packing, and then retrieve it for delivery to the docks. All of our staff members are trained industry professionals and our agents worldwide are waiting to assist you with all customs procedures and to make your final part of the process as pain free as possible. Because they're part of the family, pets have to go too but can be a problem when moving. At Schumacher Cargo we can advise you on professional pet care services to transport them safely to your new home. Cars, boats, caravans... we move them all. If you want to avoid the extra stress of having to work out the logistics of relocating additional cars and your boat and caravan, leave it to the experts. We can provide a range of cost-efficient solutions. Press here to get a moving quote and find out how easy we can make it happen and for a rate that will suit your budget.